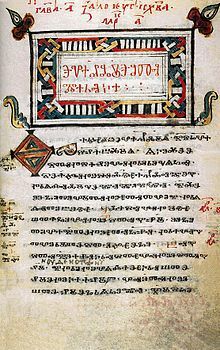 لغه بلجارى (български), ده لغه رسميه فى دوله بلجاريا, بيتكلم 12 مليون انسان, وعدد حروفها 30 حرف. ↑ "Bulgarian language". The Columbia Encyclopedia, 6th ed. Columbia University Press. ↑ Rehm, Georg; Uszkoreit, Hans. "The Bulgarian Language in the European Information Society". Springer Science+Business Media. ↑ Trudgill, Peter (1992). "Ausbau sociolinguistics and the perception of language status in contemporary Europe". International Journal of Applied Linguistics. 2 (2): 167–177. However, outside Greece, where the name of the language has been objected to (see Trudgill forthcoming), and Bulgaria, Macedonian's status as a language is generally accepted. الصفحه دى فيها تقاوى مقاله عن بلجاريا. و انت ممكن تساعد ويكيپيديا مصرى علشان تكبرها.